For as long as I can remember, I have been a beachcomber. I would return from days out at the Yorkshire coast, or family holidays with my grandparents in Devon with all manner of pebbles and shells, carefully selected beach treasure, which I would bring home as keepsakes. Most of all, I loved the sea glass - its luminosity, its texture, and the pure and simple pleasure of searching for it on a beach. The origin of sea glass is a story of man-made waste - the shards of old broken bottles and glassware - that somehow or other found their way into the ocean. Naturally recycled over countless decades by the rhythms of the tide, those angular shards and fragments are completely transformed, becoming smooth and rounded, and eventually wash back onto our shores like small jewels of the sea. Using simple tools and traditional techniques, I carefully incorporate these gem-like treasures into my hand crafted jewellery. 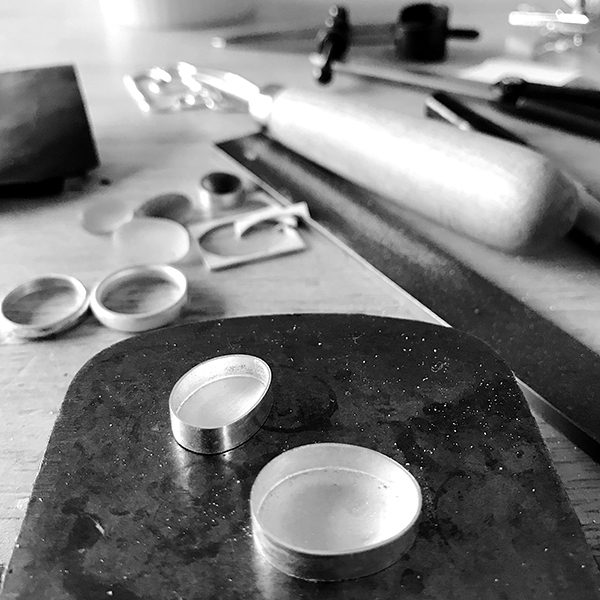 I work mainly in silver and, by conscious choice, use recycled silver in the majority of my work - the perfect complement to the sea glass and its impeccable eco credentials. I sell my work at a number of events throughout the year, and have occasional shop openings here on my website. If you’d like to be the first to hear what’s happening, please sign up to my newsletter on the home page.